Below you can view all the homes for sale in the Meadowbrook subdivision located in Conyers Georgia. 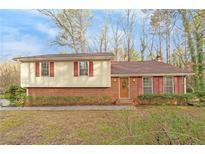 Listings in Meadowbrook are updated daily from data we receive from the Atlanta multiple listing service. To learn more about any of these homes or to receive custom notifications when a new property is listed for sale in Meadowbrook, give us a call at 404-998-4195. Home Also Boasts A Spacious Master Suite, With Huge Secondary Bedrooms. Don'T Miss This Awesome Opportunity. MLS#6533112. Mark Spain Real Estate. As Is It'S Great For A Work Shop, Play Room, Or Man/Mom Cave. Association Fee Is Not Mandatory. 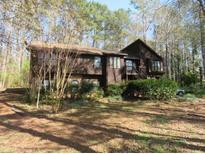 MLS#6523290. American Realty Professionals, Inc..
Home Comes With A 30-Day Buyback Guarantee. Terms And Conditions Apply. MLS#6506240. Opendoor Brokerage, Llc. The Finished Basement Includes A Bar And A Space For A Full Size Pool Table And Plenty Of Seating Room. MLS#6504433. The Homestore, Llc..
Home Comes With A 30-Day Buyback Guarantee. Terms And Conditions Apply. MLS#6108249. Opendoor Brokerage, Llc. Home Comes With A 30-Day Buyback Guarantee. Terms And Conditions Apply. 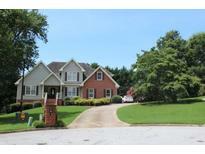 MLS#8495473. Opendoor Brokerage Llc.